Thanks to everyone who helps us build travel2change. We are grateful to the organizations that support us by joining our activities, engaging their employees as volunteers or donating to us. Thanks to the employees of the United City Ticket Office in Honolulu for volunteering and pledging support. In-kind donations from our donors and partners allow travel2change to offer activities for free or discounted. We are very grateful for our generous supporters. Mahalo to those who make travel2change possible. 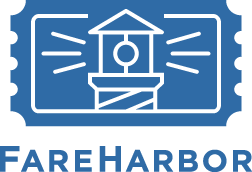 We rely on Fareharbor’s booking engine to seamlessly connect travelers with our hosts. Join our journey to create a positive impact through travel. Contribute to travel2change projects, operations, or the tools that make our work possible. Thanks to our current supporters who allow us to do what we do. We’ll organize a travel2change activity for your employees or customers to boost engagement and enhance your image. Help get more travelers to create a positive impact.